Daytona State College in Florida is innovating its programs and offerings to provide up-to-date journalism training and education. Professor Elena Jarvis reports from the cutting edge. As the paradigm continues shifting dramatically in all things media related, Daytona State College is creating its own model via the new Center for Interactive Media or CFIM. For the past year, professors from across the curriculum have been consulting with each other and area professionals to turn the college’s independent television station, WDSC, into a center for new media studies, as well as a learning laboratory for students interested in mainstream and emerging communication fields. Advertising, photography, video, journalism, audio, website creation and publication design are evolving and merging at such a rapid pace that a committee tasked to find a new academic direction for the TV station is addressing the phenomena with an innovative course of study. These degrees will consist first of an Associate of Science and later, a Bachelor’s of Science in Interactive Media Production. In the discipline, students will combine critical thinking, writing, photography, video, audio, social media and web creation/design to produce both traditional and interactive media productions. Focus areas within the curriculum will include electronic media and visual/video production, and in the fall of 2013 will join two popular existing AS degrees in photographic and music production technologies. The primary platform for student work will be a department website, but the program will also have a broadcast element. It is hoped that through the CIFM, Student Media, which falls under the auspices of DSC’s Student Activities Association, will expand both its audience reach and the platforms used to accomplish that goal. Student editors for the campus newspaper and literary magazine receive tuition-reimbursement scholarships and that policy could be extended to those working in emerging student media. “The technology will always change,” says interim CIFM director Eric Breitenbach, a documentary filmmaker and Senior Professor of Photographic Studies. “But the need for good stories will remain. Now, stories are migrating from traditional to digital media, and viewers like and expect interactivity. That’s what our students will be producing. Breitenbach and Daytona State professors in broadcasting and print journalism, music technology and members of the e-learning staff at the college are now hammering out the specifics of the curriculum. To that end, they have met with representatives of area newspapers and magazines, including social media editors, mobile reporters and visual journalists, as well as multimedia professors at the University of Florida in Gainesville. Breitenbach coordinated a consortium of experts from the University of Central Florida, Full Sail University, Walt Disney World’s Imagineering department and even the Golf Channel to ask them what skills they thought the new media would require of future graduates. “Story,” the group unanimously agreed, gets top priority, although the methods and platforms for presenting it will continue to morph. For all our technology they concluded, the challenge for young people is knowing a story when they see/hear one and then being able to write it in a compelling, factual and fair manner. The TMZ Effect of publish first and sort out facts later makes media law and ethics especially important in the early stages of students’ studies. “Several Florida institutions have programs that focus on Interactive Media, but many are geared toward gaming or web coding and programming. Daytona State’s seeks to be different by emphasizing story over technology,” explains Breitenbach. 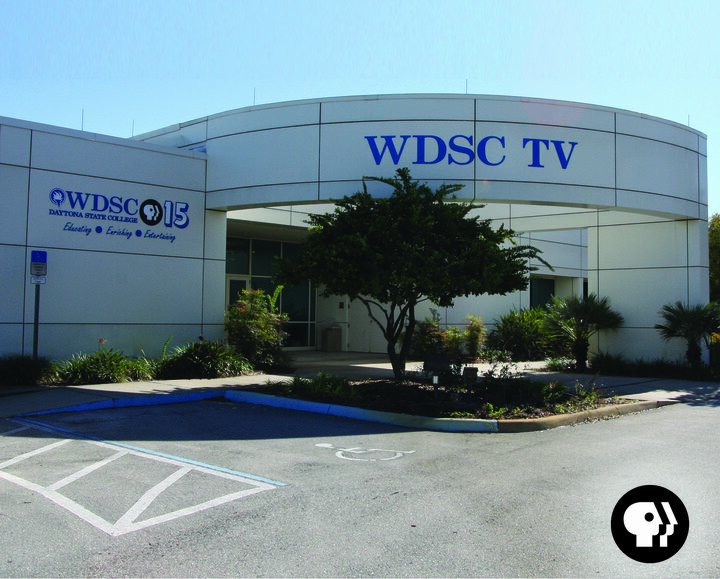 WDSC — which operates in a top 20 market nationally, broadcasts across six counties and can reach several million potential viewers — also has three feeds via its local cable affiliate, Brighthouse. It was one of the first stations nationwide, to rise to the federal challenge of going digital and accomplished that task in 2008, more than 18 months before the deadline. Daytona State College was authorized by the 1957 Florida Legislature and became the state’s first comprehensive community college. Today, the college has evolved from a small campus into an academically supervised multi-campus institution providing educational and cultural programs for more than 35,000 students annually. Previous Does a ring overcome everything?